I have been in the sod industry for 30 plus years and without a doubt the Trebro AutoStack II is the best piece of equipment that I have ever bought! It is an incredibly efficient and reliable machine. Also the palletless forks system we use is headache free, eliminates the need for pallets and speeds up the harvesting operation. Our customers love the 24 inch wide rolls and the efficiency of the pallet free system. 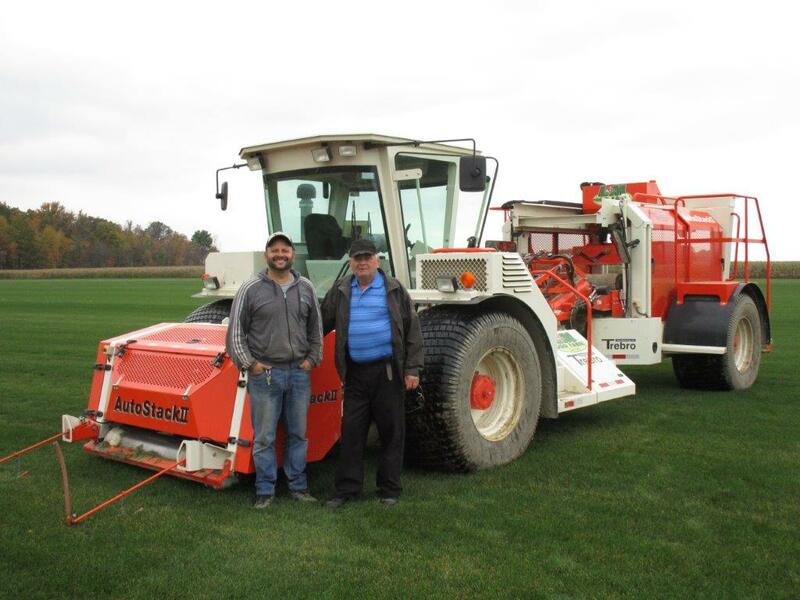 Mike Stankovic, L & M Sod Farms Ltd, Oldcastle, Ontario, Canada. Picture: Louie Stankovic on the left, Mike Stankovic on the right.